All products sold on this site are built by myself or used in my projects. Please contact me if you see anything that interests you. 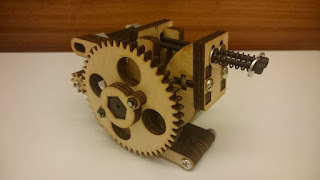 This is the laser cut version of the popular Greg's Hinged Accessible Extruder. Unlike the printed version, this extruder offers better heat resistant and is less prone to wear and tear. This extruder kit supports both 3mm and 1.75 filaments. Hot End and Nema 17 Stepper Motor are not included in this kit. - Printing Envelop: 30cm x 30cm x 30cm (11.8in x 11.8in x 11.8in). - Heat Bed: AC 110V heat pad (powered by Solid State Relay). - LCD: Standard LCD. Support printing without PC. - Hotend: All Metal Hotend (supports temperature up to 300C (572F)), 3mm Filament, 0.4mm Nozzle. - Extruder: Laser Cut Greg's Hinged Extruder (http://whhuangstore.blogspot.tw/2016/10/laser-cut-gregs-hinged-accessible_27.html). - Bed leveling kit included. - Kapton Tape x 1. - Spool holder included - Hold multiple spools of filament simultaneously. - Dimensions (Fully Assembled: D 65cm x W 65cm x H 75cm (with spool holder mounted on top of the printer). - Soldering iron, soldering paste, solder. - Basic handtools: Wire Cutter, Screw Drivers, Pliers, etc..
- Ceramic driver (for adjusting motor driver trimpots). - 20AWG stranded copper wires (red, black, yellow, green, orange, brown). 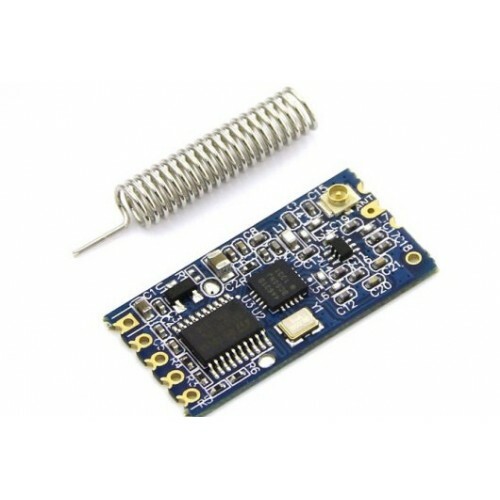 - DC 12V, 30A Power Supply. - It works with Raspbian JESSIE out of the box. All you need to do is follow the below instruction to make some changes to the configuration files (http://wei48221.blogspot.tw/2016/08/raspberry-pi-setting-up-wifi-using-usb_38.html). - At least 2 HC-12 modules are needed to form a complete wireless link. 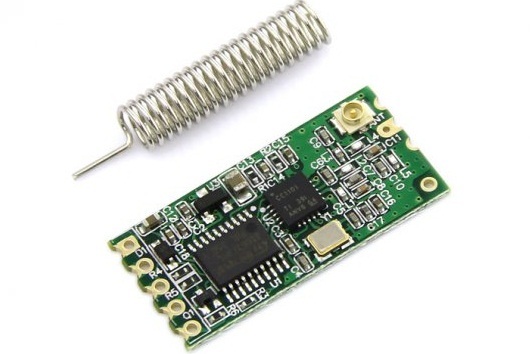 IMPORTANT - THIS MODULE DOESN'T WORK WITH THE 433MHz Serial RF Module HC-11. - At least 2 HC-11 modules are needed to form a complete wireless link. IMPORTANT - THIS MODULE DOESN'T WORK WITH THE 433MHz Serial RF Module HC-12. - Support various spool diameter (via adjustable vertical and horizontal position of the driving motor and the driving shaft). Soft start of the motor is implemented in the software to reduce the current spike during motor start up. The motor controller is a DIY MOSFET H bridge shield using 2 P-Channel MOSFET and 2 N-Channel MOSFET. The 4 white chips are opto-couplers that provide optical isolation to shield the micro controller from the motor noise. - Optical isolation of PWM and direction control signal. The video below shows the working of Filament Winder + Filament Spreader. The synchronization of the spreader's movement with the spool's rotation is done by the hall effect sensor.